.Click the center of the area of the image you want to reduce. Each click reduces the view to the previous preset percentage. When the file has reached its maximum reduction level, the magnifying glass appears empty. • Click the Zoom out button \ in the options bar to reduce to the previous preset percentage. When the image has reached its maximum reduction level, the command is dimmed. • Choose View > Zoom Out to reduce to the previous preset percentage. When the image reaches its maximum reduction level, the command is dimmed. 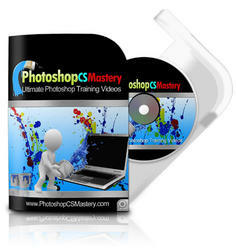 • (Photoshop) Enter a reduction level in the Zoom text box at the lower left of the window. • (ImageReady) Click on the Zoom Level pop-up menu at the lower left of the document window, and choose a zoom level.